McKenzie was so AMAZING while planning our wedding. We hired her for the "day of" coordination, but she provided so much more than just help on the day of. She kept track of all the last minute details and made sure that everything ran smoothly. I really appreciated her communication with the vendors, and her guidance on a couple last minute decisions. I would highly recommend McKenzie. She made sure that I was able to enjoy my wedding day because I was confident that she could handle anything that came up! Hiring McKenzie to day-of coordinate our wedding was a no-brainer. My fiancé and I met with her and immediately booked her to coordinate our wedding. She was beyond professional, hardworking, organized, and truly dedicated to making our wedding day as stress-free and amazing as possible. She met with us multiple times and was more than happy to answer my many, many emails about wedding day details. She truly thought of everything and put us at ease knowing that she was in charge of our reception. We were able to enjoy our day and not worry about anything since McKenzie and her team were in charge! On the day of our wedding, McKenzie allowed us to just have fun at our reception and she didn't keep bugging us with a bunch of questions, since we had already talked through everything weeks beforehand! McKenzie is amazing and we cannot recommend her highly enough! We had McKenzie for the day of service and she went above and beyond with everything! She met with us multiple times and helped make our wedding perfect. She was so flexible and accommodating and went out of her way to ensure you have everything you need. She is great with communicating and gets back to you right away always! 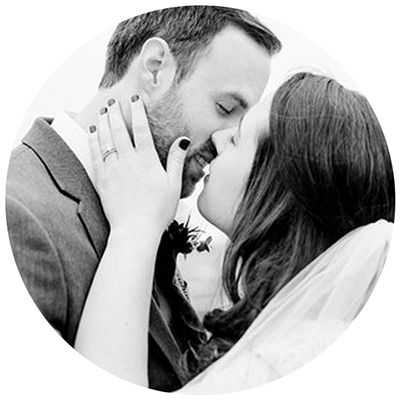 If you are still debating on a wedding planner-I would highly, highly recommend McKenzie. We are a "full service" client of McKenzie's and she is making our wedding planning as stress free as possible! For unforeseen reasons, my fiancé and I had to move our wedding up from May 2018 to December 2018 and McKenzie has gone above and beyond to make sure that everything is in order and that we are still able to have our dream wedding! With frequent meetings, updated agendas and plans, to coordination with all the vendors, McKenzie is helping to make our day one that is one to remember forever!! I highly recommend McKenzie as she goes far beyond expectations to make every bride feel special and incorporates individual styles into all of the little details. We love working with her! I cannot give McKenzie enough praise for the work she did with my wedding. We just got married on September 9th and McKenzie was a blessing the weeks leading up to it and for my wedding day.McKenzie is extremely prepared and very organized - which I appreciated as I was working off a spreadsheet for my wedding. When my husband and I met her, we clicked right away with how personable and enthusiastic she was. The day before my wedding I met her to give her everything we needed set up at the reception. McKenzie was always flexible with our meetings and reminded me time and time again that she is there for anything I need. She went above and beyond to make our venue beautiful and was extremely helpful with ensuring all vendors were doing their part. Her timeline was very detailed and helped me feel more comfortable to make sure our photographer would be around for all key events.McKenzie and her team were ready to take care of anything myself or my husband needed that day - and I cannot honestly thank her enough. 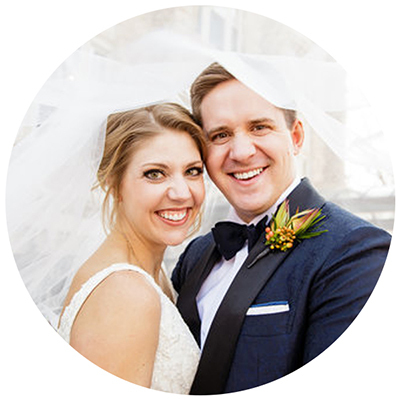 She is a WONDERFUL wedding planner and I cannot emphasize enough how much you will appreciate having her included in your big day. Isaac and I could not have been more thrilled with McKenzie's execution of our wedding. She crushed it!Isaac and I were able to soak in every moment of our wedding weekend because we were completely carefree throughout our ceremony and reception. Leading up to the wedding, she diligently mapped out every detail, contacted our vendors regarding final itinerary and last minute changes, and met with me several times. The day of, she and her two employees had everything covered! Looking back on our amazing celebration, we both agreed that our VENDORS -- especially McKenzie Phillips Events, LLC -- were worth every. single. penny. I encourage you to go no further looking for an event coordinator because McKenzie is a BOSS who takes great pride in ensuring all of the details run smoothly and her clients can enjoy themselves worry-free. Thanks, McKenzie! McKenzie literally made my wedding and reception perfect. She is a detail orientated person and is very, very good at her job. I highly recommend her for your wedding. She does not disappoint!She made sure small details were taken care of like swapping out my huge bouquet for the wedding with a smaller bouquet for the reception, making sure 29 tables and their centerpieces were positioned perfectly, organizing ALL of the timing of events for the reception (THIS IS HUGE)! She responded to my text messages and emails immediately when I had questions or wanted to change something last minute. After perfecting what seemed like the perfect wedding and reception, (dj, cake cutting, catering, cocktail hour), she even gave my parents a ride to their destination along with all of our presents. She was a godsend. She went above and beyond for our wedding day in a few major ways: Coordinating with the vendors was a huge stress relief and she did this with ease. We had people tell us it was the most fun well orchestrated wedding and reception they had ever been to. I owe this girl the best review because she went above and beyond what our "contract" said and what my expectations were. She is very sharp, professional and more than experienced at her job. We already had a few things planned ourselves and didn't need EVERY service she provided so she made a package that suited our needs perfectly. She deserves a 100%. Thanks McKenzie!!!! Hiring McKenzie was the best decision we could have made for our wedding! We hired her as the "Day-of" coordinator and a couple extra services that she offers as add-ons. We were blown away by her level of involvement and her immense knowledge of all things wedding related. She came to our meetings completely prepared and incredibly organized. She thought of everything I would have missed, gave me great ideas on new ways to do things, and assured me that our day would be amazing and stress free! The day of, McKenzie and Alyssa arrived early at the venue, coordinated all the vendors’ arrivals and made sure everything was set up correctly! As the night went on, either Alyssa or McKenzie made sure to check in with us to see if we needed anything and to ensure we were having a good time. Not everything went as planned, but McKenzie was proactive in confronting any issue and resolving it quickly. Other than McKenzie and myself, no one would have known there was ever an issue. We were able to leave the venue feeling completely confident that McKenzie was in charge. I would and have recommended her to anyone getting married! We couldn’t have had such a stress free and amazing wedding without her. Amazing! The best! I can not say enough great things about McKenzie and her team. They will go above and beyond to make sure you have the absolute best day ever. There are many different packages to fit many different needs and budgets. They rentals are very affordable and great quality. McKenzie is extremely organized and made me feel so relaxed on our wedding day. There was so many little things that her and her team did behind the scenes to make our day perfect. Thank you is simply not enough. I can not imagine my wedding day without McKenzie Phillips Events. They were absolutely amazing at taking care of everything, leaving my mom and I stress free.McKenzie was very flexible on times she could meet. She was beyond friendly but yet assertive when it came to getting things done and people to cooperate. Our wedding went so smoothly because of McKenzie Phillips Events. If you are second guessing using a wedding planner, like I was, trust me when I say this was the best decision we made. 5 stars are not enough to give McKenzie! We cannot begin to thank her enough for all the hard work she put into ensuring our day was all we had dreamed of and more. We hired McKenzie for her day-of coordination services, but what we got was that and SO much more. From phone meetings/ touch bases, to in-person meetings, rehearsal day, and wedding day, she brought her A+ game. The week-of, she took a major stressor off my plate and followed up with vendors on arrival times and other important details. She crafted a heavily detailed schedule for rehearsal day and wedding day - it helped keep everyone in line and see all the plans laid out, altogether. All in all, she (and her staff member Donna) really just made our wedding day a breeze! Some of the other vendors had mentioned to me that day that I seemed like one of the most "calm" brides they'd ever worked with, and for that, I have McKenzie to thank. If you're looking for wedding planning services, whether day-of or the total package, look to McKenzie! She's hard-working, EXTREMELY organized, determined, thoughtful, detail-oriented, and an absolute pleasure to work with. I will forever be thankful for her and consider her not just a wedding vendor, but a friend! McKenzie worked tirelessly to make our special day exactly what we wanted and made sure that everything was perfect! Our décor was beautiful and I could trust McKenzie to deliver exactly what I was looking for. She handles all of the hard work and makes life so much less stressful during those crazy wedding planning times!